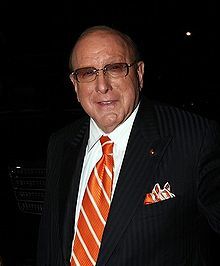 Clive Davis told the New York Times, "I always wanted to produce a Broadway show and I've never done it." Well, when you're one of the biggest names in the music industry you can! Record Producer Clive Davis is set to produce a new revival of, what he calls the greatest musical ever, My Fair Lady on Broadway in 2014. With Davis at the helm of this ship, what big name singer do you think he will bring in to play Eliza Doolittle? Let the suggestions flow!